In order to ensure delivery of quality and affordable Healthcare, a Healthcare Organization should be assessed and qualify for certification and accreditation. There has been a misunderstanding between accreditation and certification of an organization. Most Kenyans are not very sure on where to go for specific healthcare services, because once a Health Centre bares an accreditation or certification label only, does it indicate that it’s fully qualified to offer specific services? HR&QS Committee aims to clarify this while ensuring that Health services offered are of good quality as recommended. 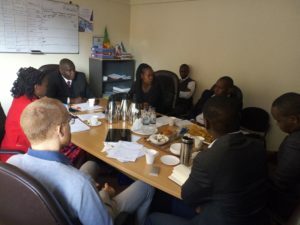 This first committee meeting was graced by Ms Doris Mueni – Deputy Director KENAS, who clarify on the functions of the two bodies as; accreditation ensures that an organization is competent to perform specific functions in a reliable, credible and accurate manner, while certification means compliance with a standard or specification. There are major benefits of Accreditation such as quality improvement in internal operations, safeguard credibility of results from conformity assessment activities and improved market image. Doris further clarified that KENAS does not accredit hospitals directly, but accredits certifiers of Hospitals e.g. Pharm Access offers certifications through the Safe care Programme, KENAS also does a conformity assessment test to vouch for competence on specific departments in different facilities thus do not accredit all departments. Below are some of the KENAS accredited facilities; 32 Medical laboratories (Government, Private, FBOs), 45 Testing and Calibration Laboratories, 7 Inspection bodies and 3 Certification bodies. KENAS also accredits these models to offer certification services as an assurance for quality and patient safety. There has been a lot of engagements going on between Ministry of Health (MoH), Kenya Bureau of Standards (KEBS) and Kenya Accreditation Service (KENAS) to see how to adopt Kenya Quality Model for Health (KQMH) as a national standards for Quality and Patients safety. 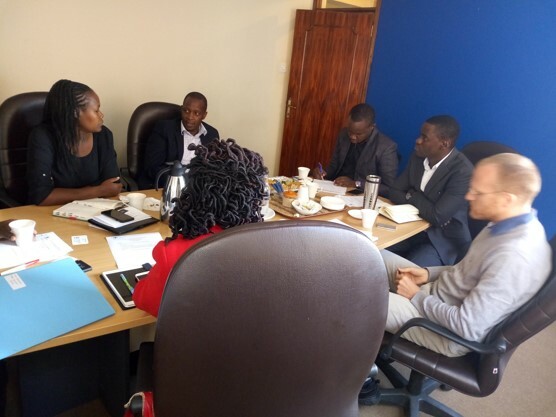 Doris clarified that National Hospital Insurance Fund (NHIF) certification is supported by the Medical board and Pharmacy and Poisons Board (PPB), using the KQMH standard and It’s best if certification is done by Independent bodies since NHIF certification is for rebates. Moreover, NHIF is not accredited by KENAS but can be certified by law. A close out program on joint inspection was done on 26th February 2018 where a total of 2138 facilities both Public and Private were visited and inspected for the last one year during pilot phase. The Lessons learnt from this exercise, will inform Universal Healthcare Coverage. Patient perspective on quality will be incorporated in the next document to be developed. It was however noted that more inspectors will be needed and trained for the national roll out. The Health Act 2017 key goal is to create a unified health system that aligns with the Constitution, by spearheading regulatory changes and coordinating the interrelationship between the National and County Government. This committee will represent the private sector on, Legislation &Regulations and Promotion & Advancement of Public Health/Lactation Stations. The meeting was well attended by committee members namely; HUQAS, AAR Healthcare, Health Store EA, PSK and KENAS.